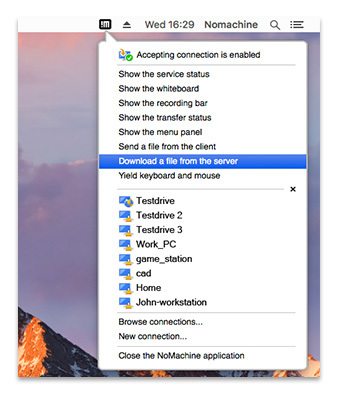 To send files both ways, you will need NoMachine installed as illustrated here. 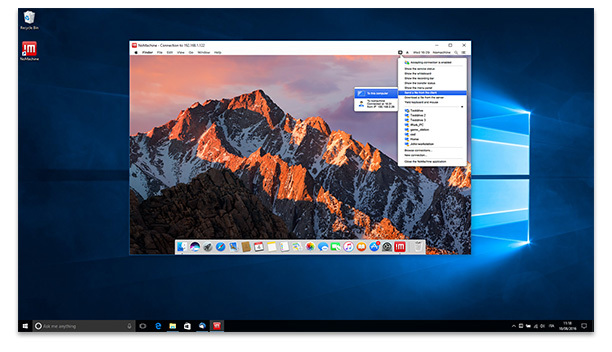 Start a connection from your computer to the remote computer you want to access and click on the !M icon to bring up the menu. This is called the Monitor. 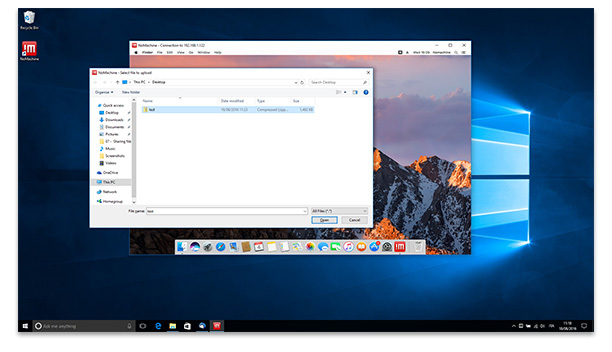 Click on 'Download a file from the server' to transfer a file from the machine to which you are connected to your PC or Mac (Fig. 2). 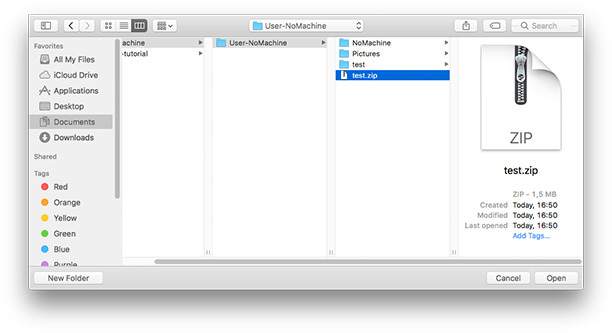 The explorer will pop up to allow you to navigate the folders to select the file you want to transfer (Fig. 3). 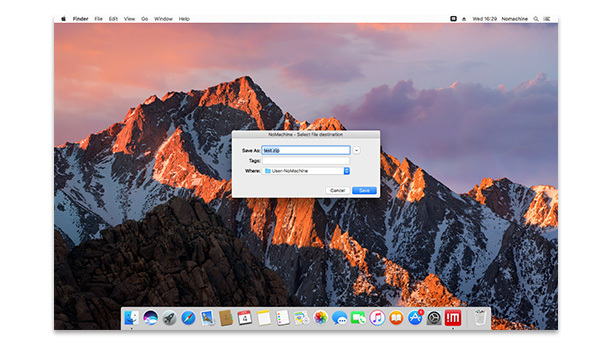 Next a second dialog will pop up to let you choose the destination folder on your PC or Mac where you want to save the file which you are about to transfer (Fig. 4). You're done! You will now be able to access the newly transferred file on your local computer by selecting 'Show the transfer status' from the Monitor (Fig. 5). 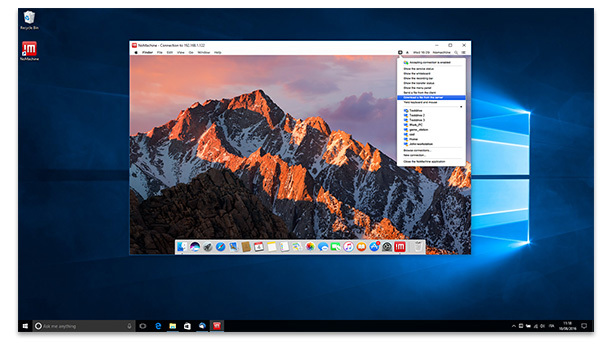 The local file manager/explorer will pop up to allow you to navigate the folders of your local computer to select the file you want to transfer (Fig. 8). 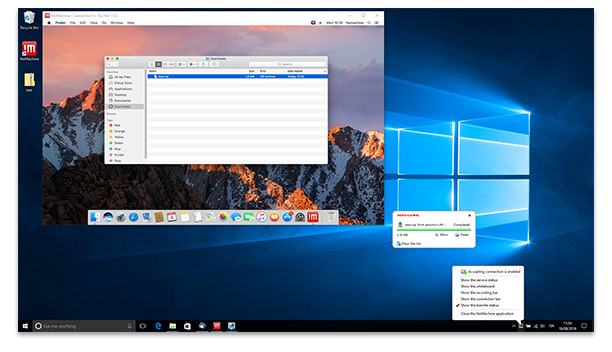 Next, a second dialog will pop up to let you choose the destination folder on the remote PC or Mac where you want to save the file which you are about to transfer (Fig. 9). You're done! 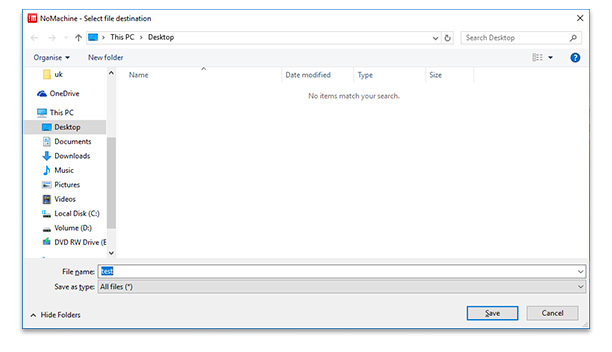 You will now be able to access the newly transferred file on your remote computer by selecting 'Show the transfer status' from the Monitor (Fig. 10).